Foosball table rentals are a game of strategy and quite challenging. Although this game is loads of challenging fun, it is great for both children and adults. Also, a popular table game rented with ping pong. A tabletop version of soccer, this game is fun for all ages. 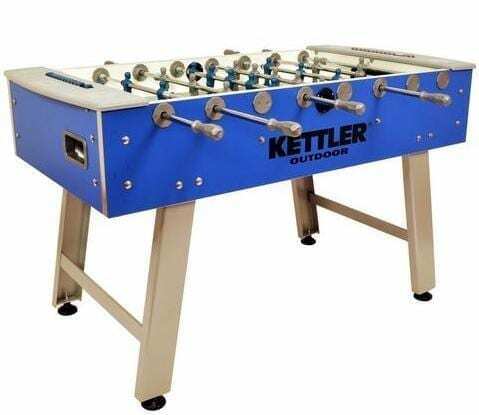 Players turn rods fixed on top of a playing box and attached to miniature figures of players, in order to flick the ball and strike it toward the goal. Need help planning your event space? Our Planning Page can help answer space planning questions. Not sure what you need? Not sure which linen to select, click here for Linen Sizing Guide.